This is a great game to get the crowd interacting with the game you are playing! They will love the element of surprise when the students who participated in the pillow fight find out that they never actually hit their opponent!! 1. Pillows. You will need a total of 3. 2. Blindfolds. A total of 2 for these. 3. Rope. You will want a long enough rope to be able to tie around some sort of pillar or anchoring point. Set up your anchors. It’s nice if you have two support beams next to each other but if you don’t have those you can always tie the rope to a chair with someone sitting in it or to a table. 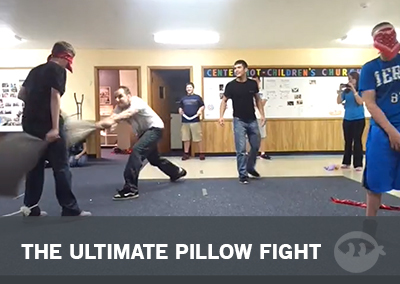 A different twist on pillow fighting! 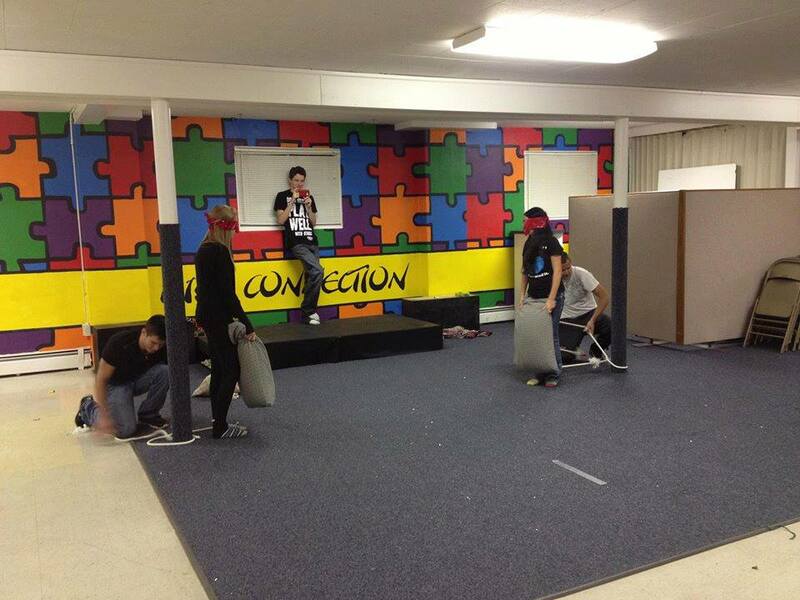 You have two individuals pillow fight blindfolded; what they don’t know is they never will hit their opponent. 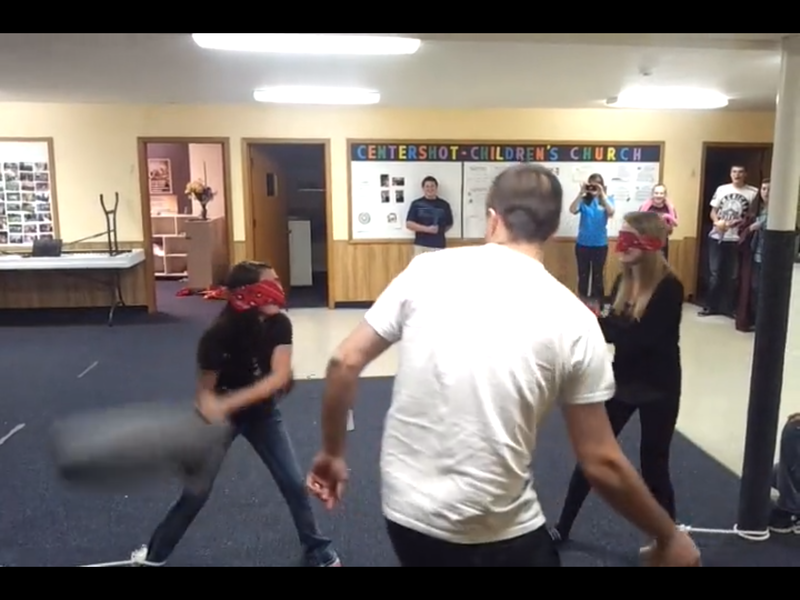 Blindfold them first, then tie off one of their legs to your anchor so that they can’t hit each other, have them practice hitting each other (let them hit you, while you hit the other) and let them go at it. 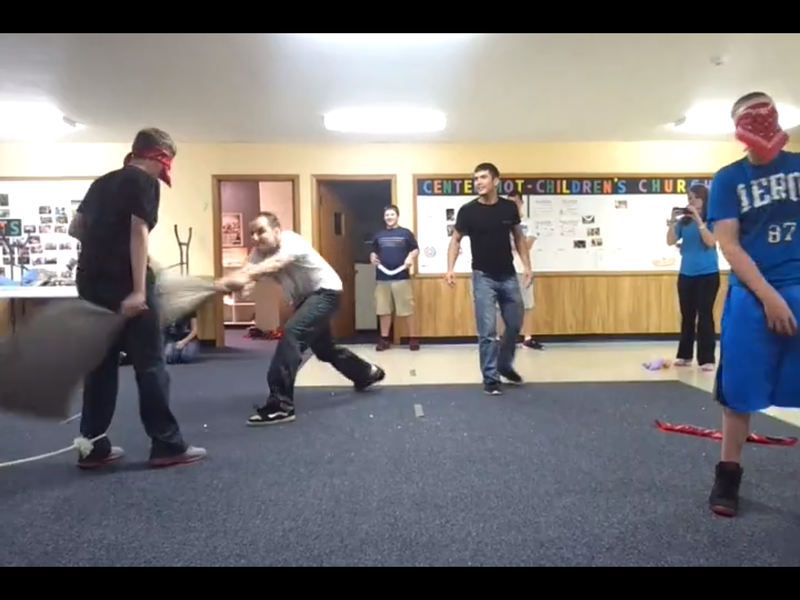 While they are swinging and missing; the third pillow is used by a leader who hits both of the individuals. This is a great game to get students laughing and having a good time! NextIt’s Summer Ministry Vlog Week!